Tailor Made Top Luxury Fitness Holiday led by Professionals! The effective Boot Camp formula – Just for you! In case you find that the dates online do not suit your busy schedule, you do not have the courage just yet to train in a group or you would like a specific type a training. Our platimun programme is a fully personalised programme adapted to your needs and goals. We design a specific training programme just for you to bring your fitness to the next level. You can contact us for a quote or example programme. 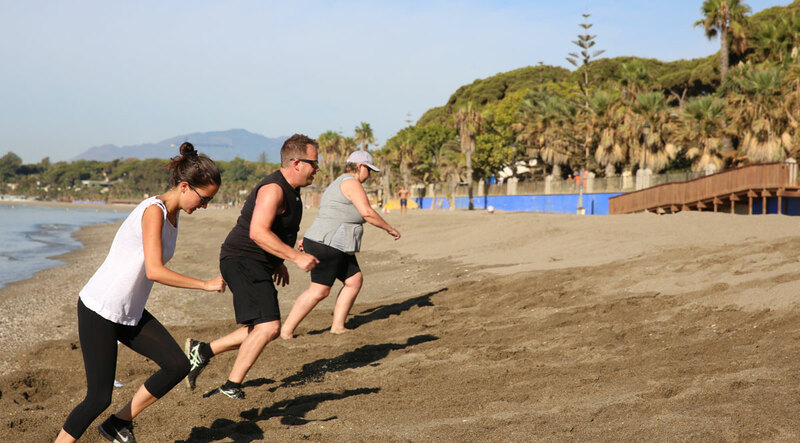 Same payment terms apply as with a standard Boot Camp Marbella Booking. Our quote will exclude flights.